Visit the historic village of Sherman New York and experience country living at its finest. 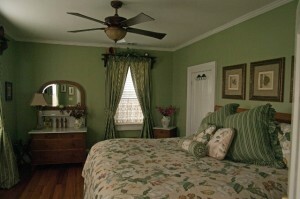 At Sherman’s Inn on Main you’ll enjoy a romantic get-a-way to relax and escape that fast paced city life. Whether it is a summer retreat, golf weekend, high adventure, relaxing on the wine trails, hiking, enjoying lake view sunsets, or a winter ski vacation, Sherman’s Inn on Main offers all from our convent location on Western New York’s Southern Tier. Our Inn features three elegantly appointed bedrooms with private baths, cable television, Wi-Fi, air conditioning and a restful atmosphere. 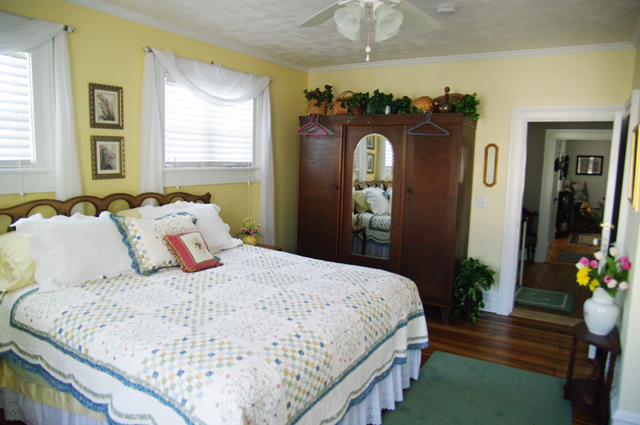 Each room is tastefully furnished, inviting, and relaxing. Cozy, comfortable, and elegant seem to be the terms used by most of our guests. Each room features antique furnishings, original wide plank hemlock and cucumber wood flooring, and the original farmhouse doors and doorknobs. Each morning enjoy a mouthwatering breakfast. Garden fresh vegetables, picked daily out of the backyard garden, are used to prepare several of our delicious recipes. Enjoy a step back in time as you relax on our fabulous front porch with your morning coffee while planning your next adventure. Light and airy and nicknamed the sunshine room. It is furnished with antique furniture to include a huge German made “Shrunk”. This room has a King bed topped with a plush feather bed and beautiful quilted linens. Private full bath with tub and shower. A treat for the botanical nature lovers. This room is furnished with antique marble topped furniture and a huge California King sleep number bed. Bedding and drapes are thick and luxurious. Private bath with roomy shower stall. 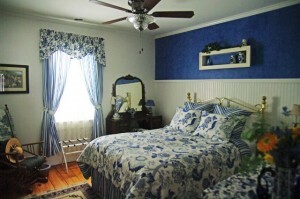 Magnificent Cobalt Blue is the color of royalty and that is what you will feel like in this room. Furnished with antiques, a Queen bed, and rich elegant luxurious bedding fit for a king. Private bath with roomy shower stall.